Stand up paddleboard hire and paddleboard rentals available to explore Norfolk’s coastline by sea. The abundance of wildlife and contrasting coastline makes Hunstanton, Brancaster and surrounding area so attractive for paddleboarding. We use top of the range inflatable paddleboards 6″ thick for maximum rigidity. All our rental paddleboards come with lightweight paddle, pump, leash, backpack and buoyancy aid. 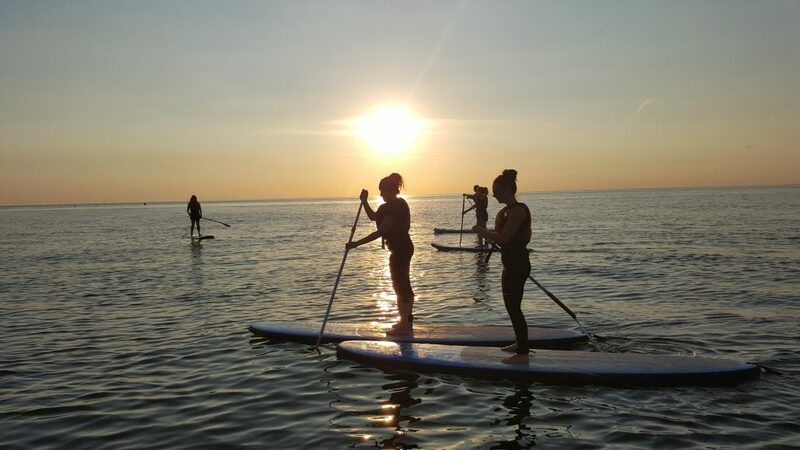 A basic level of paddleboarding and understanding of tides is required, if you are a complete beginner you will benefit from joining our paddleboard taster session. Please note – Weather conditions and availability will determine whether paddleboard hire will go ahead or not.